When I was 11 I signed up to martial arts lessons, I loved Bruce Lee so my older brother found a Jeet Kune Do class for me at Bob Breen’s Academy in Hoxton. I thought it was a given since, you know, my dad did Kung Fu, I’m Asian etc therefore I must do martial arts. I did it for a year, got to grey belt and got fed up of being the only girl doing classes with 16 year old boys who would dread having to pair up with me to spar and do grappling moves. I loved the classes, but being the only young girl was tough, especially with puberty around the corner. There was only one other woman who did the classes there at the time, her name was Sharon I think. I adored her as a kid as she was the only woman consistently doing the classes there which were full of men. I saw her come out of a class one day in tears, it made me really sad and I decided I couldn’t do it anymore. Well thank god things have moved along a little more since then. I’ve gotten through puberty alive and I am now more comfortable around men and also there are more women’s martial classes around making it more accessible to females who may be a bit conscious to put some boxing gloves on. 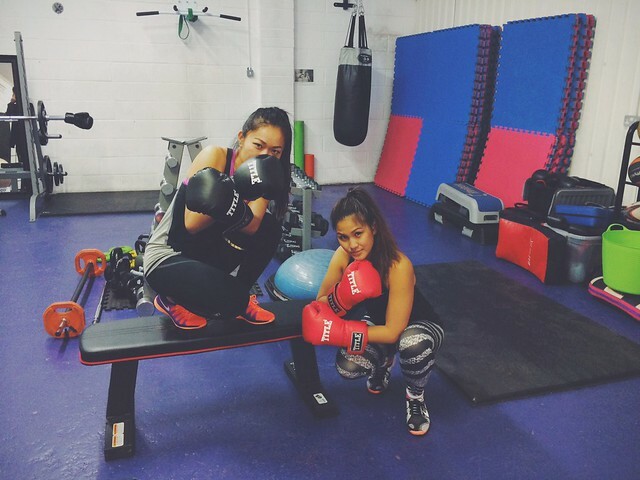 One to definitely mention is Ladies Fight Club ran by Kate at Form Fitness UK which is held at London Fields Fitness Studio in London Fields, Hackney, East London. 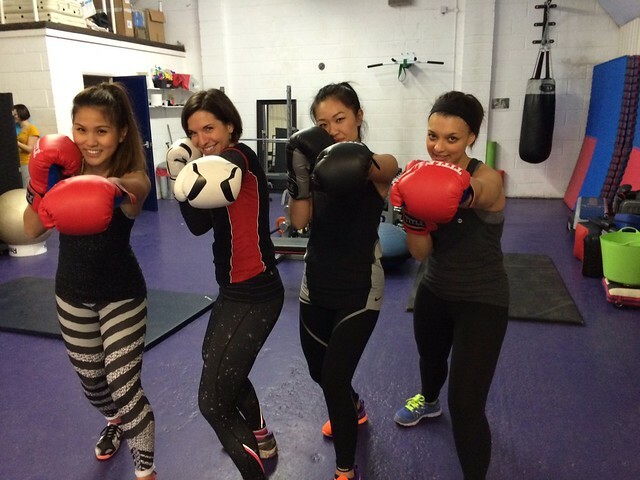 Kate teaches a mean HIIT (High Intensity Interval Training) class which incorporates boxing moves in it. 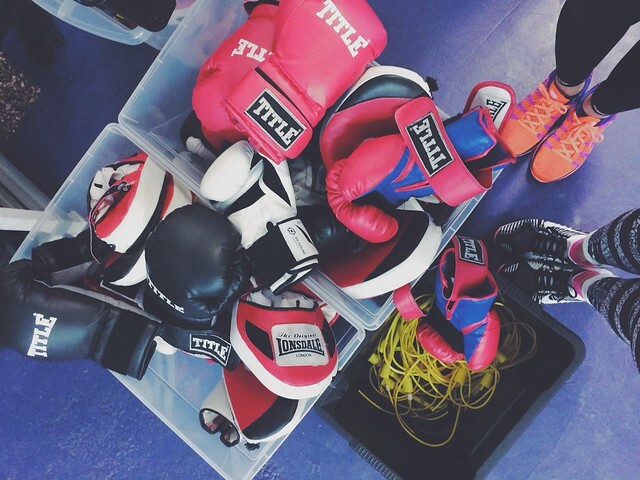 We’ve been to a boxing class at Frame previously but this one incorporates the real deal of gloves and pads so you can really give the pads a punch and appreciate the noise it makes with the power you exert. Perfect stress relief! As this was a taster class we only got to look at jabs, crosses and uppercuts. Kate came around and focused in on each move adjusting us to have the right stance, our guards up and looked at how we could incorporate more power into our punches. This was definitely more than what I was expecting. It’s easy to think that a ‘ladies’ class may not be as technical and 'tough' but Kate definitely made sure there were no short cuts taken here. Kate had us running up and down the road in-between punches, sit ups and burpees (you name it we were doing it). And my oh my did we feel the DOMS the next day. DOMS are always a great sign of a good fitness class launch! We are definitely coming back and we’re bringing all our friends too! Even better- Kate is charging a mere £5 a class. No glove and pad hire or anything, just straight to business. From what we’ve seen so far of fitness classes this is rare as you’re paying for a great class too. Get involved before we take up all the spaces with our entourage (and if you don’t know already we roll deep)! The Fight Club officially launches next week and will run every Tuesday 11.30-12.30, drop in £5. 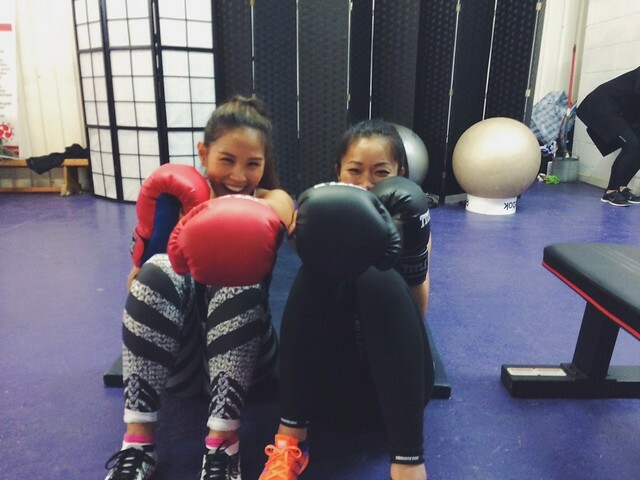 Also launching next week is Kate's MASH up class (a HIIT circuits and boxing class) Mondays 19.30, also drop in £5. Follow Kate on Twitter and Facebook. 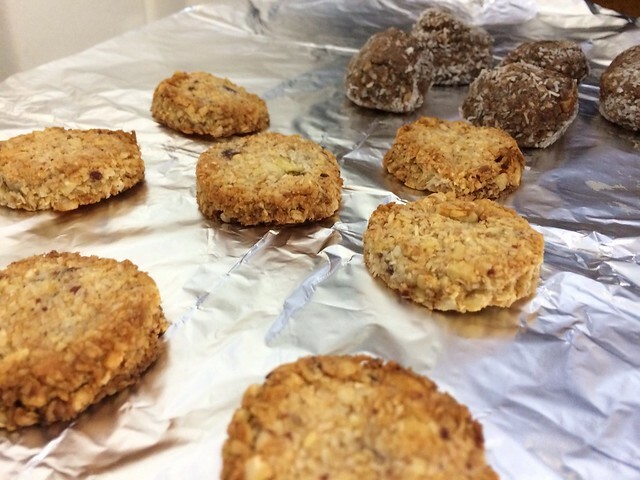 If you're lucky you might even get some healthy cookies baked by Kate herself!